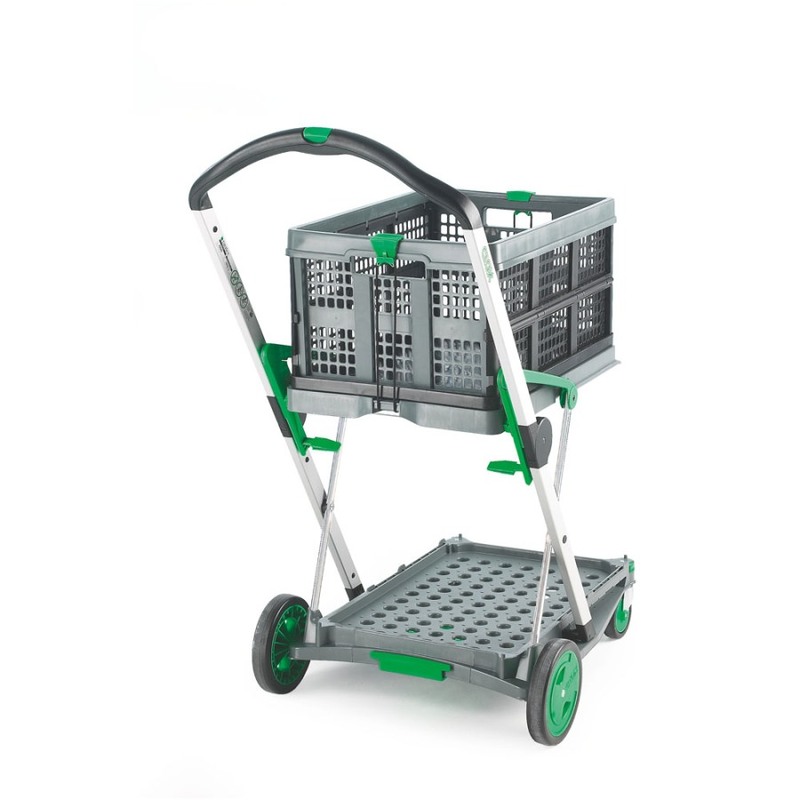 This innovative trolley has a clever folding mechanism that allows it to fold down into an incredibly small size - perfect for storing out of the way when not in use or for taking with you in the boot of a car! 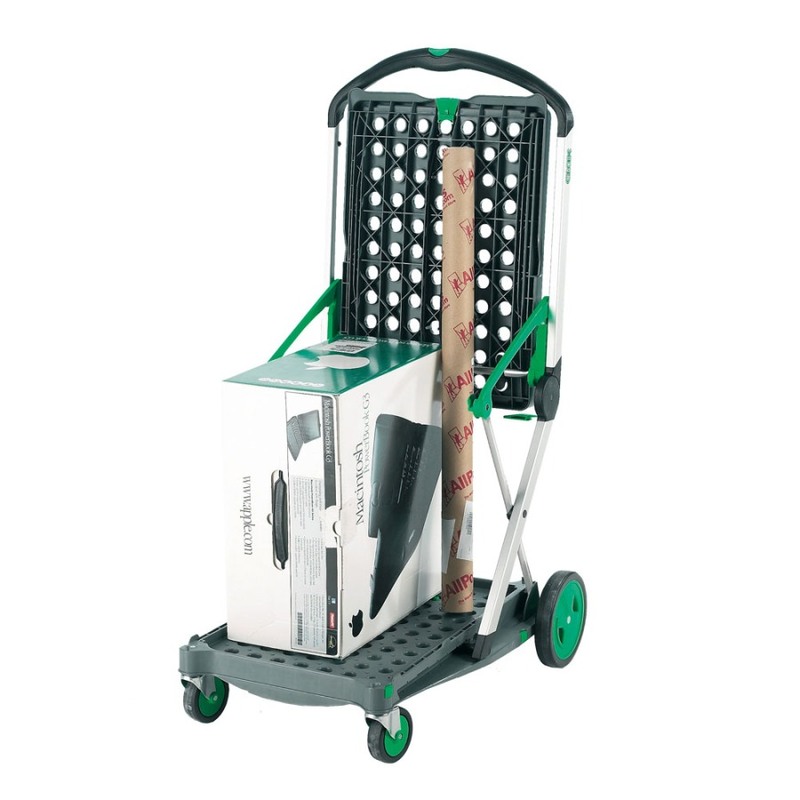 With a total carrying capacity of 60kg and a number of different configurations, the clever folding trolley can adapt to suit both small and larger, bulky items when required. 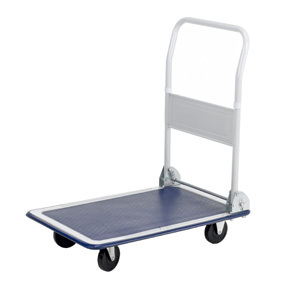 The included fold-down box can be used to create a picking trolley, or you can use it without the container as a platform truck or a 2-tier shelf trolley. 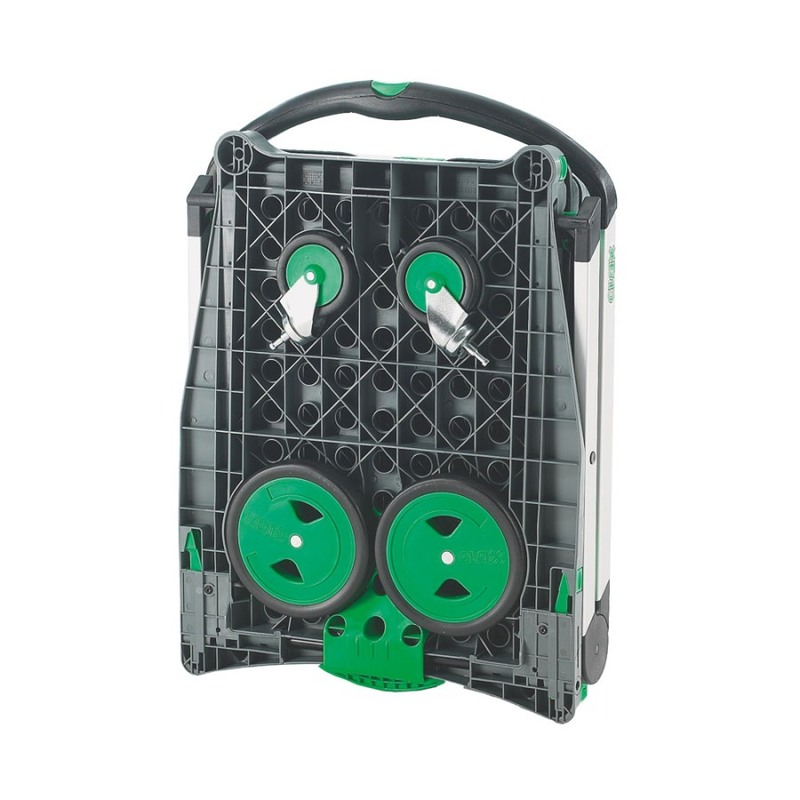 Whichever mode is being used, you will still benefit from the super quick fold/unfolding mechanism that takes only a few seconds to operate. 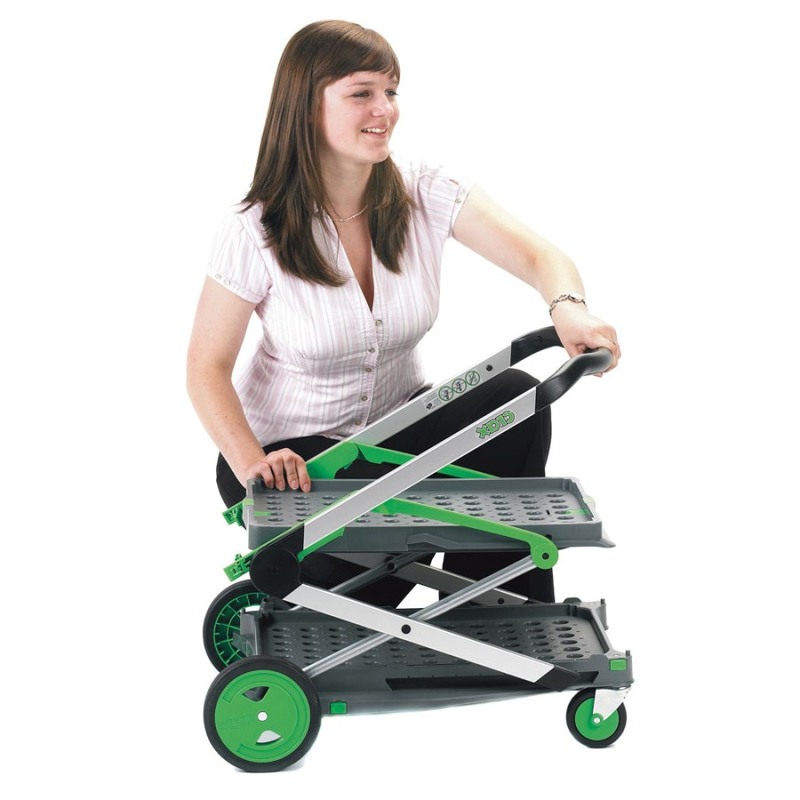 When not in use, the 4 wheels can all be detached and mounted to the underside of the base. 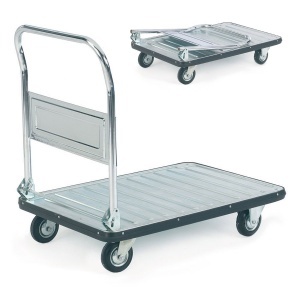 This helps to both reduce the overall size and to protect the wheels during storage/transit. 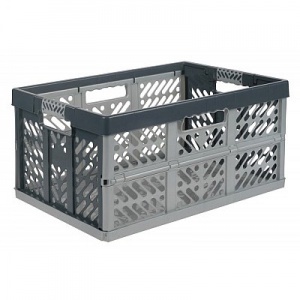 Note: If you would like to order the boxes separately please call 01993 779494 for a quote.